The words “Rambert” and ”pioneering” have a habit of going together. Rambert is the UK’s oldest dance company, having given its first performances in 1926. Now Rambert is about to unveil another first: Rambert2, the first junior company attached to a UK repertoire company. And as if that wasn’t enough, this will the be first junior company anywhere to have an MA in Professional Dance Performance as an integral part of its programme. Rambert2 will bring together 10 young dancers from around the world for one year, during which they will tour extensively, engage with schoolchildren and work towards their post-graduate degree. The idea for a kind of transition stage between school and a fully professional dancer’s life had been in the air for a while; but shaping it into Rambert2 was the work of three people: Amanda Britton, Principal and Artistic Director of Rambert School of Ballet and Contemporary Dance; Helen Shute, Rambert Chief Executive/Executive Producer; and Mark Baldwin, Artistic Director of Rambert and Rambert2. In her office on the first floor of the bustling Rambert School, sited in an old vicarage in the leafy outskirts of London, Amanda Britton professes herself “excited” at the new project and “confident” in its success. “Mark Baldwin and I, we danced together in Rambert for many years, (…) so we know each other well, we work together very well and for a number of years we’ve been working on (…) projects to bring Rambert and Rambert School closer together. “In my day we flounced in, put our hands on our hips and said, ‘what’s this all about, then?’ and then did it. Now they really are co-creators (…) Now the choreographers explain a lot more what they need, what they want. The MA in Professional Dance Performance will be validated by Kent University; Amanda Britton wrote it. 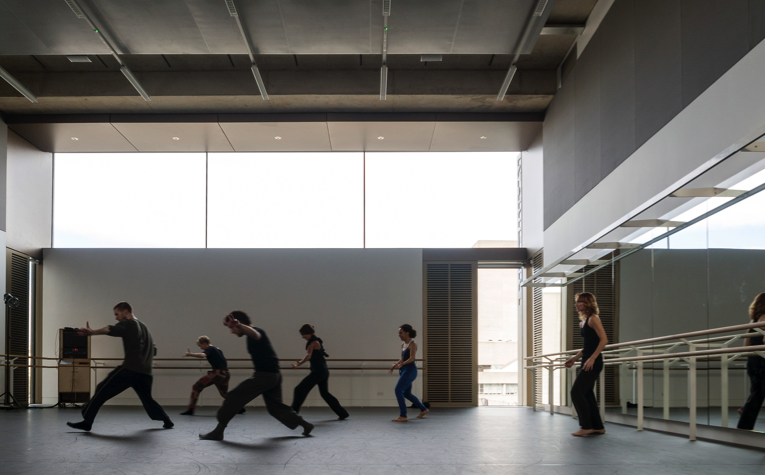 When not on tour, Rambert2 will share Rambert’s swanky premises on London’s south bank with its airy, state-of-the-art studios. Rambert2 dancers will each be paid a bursary of £15,000, which is the net equivalent of the London Living Wage; the MA itself should set them back £3,000, but Rambert will absorb half of that, and Helen Shute says it may be possible to provide further support in cases of special need. The Arts Council grant involves a requirement for touring and outreach programmes. Rambert2 will tour the UK extensively, reaching, Helen Shute calculates, “25,000 more people every year” than Rambert currently does. “They can tour where we can’t go because we’re too big,” says Mark Baldwin – Rambert comprises 20 dancers. That’s because, Mark Baldwin notes, Rambert2 won’t need all the high-tech props that the public expect of an established company like Rambert. A key component of the work of Rambert2 will be in schools with children aged primarily 14, 15, 16-years-old. Not only will the young dancers be teaching exam-based workshops, but they will regularly perform Kamuyot, a work created by the Israeli choreographer Ohad Naharin specifically for non-theatre spaces and teenage audiences. Rambert2 will start work in July 2018 and launch at Sadler’s Wells in the Autumn with a programme of works by three carefully picked – and very diverse – choreographers: Spaniard Rafael Bonachela, Israeli Sharon Eyal, and former Alvin Ailey dancer Benoit-Swan Pouffer. Diversity is one of Mark Baldwin’s pet subjects. He is proud of Rambert’s inclusion of 41% black, Asian and minority ethnic dancers – “I think it should be more! 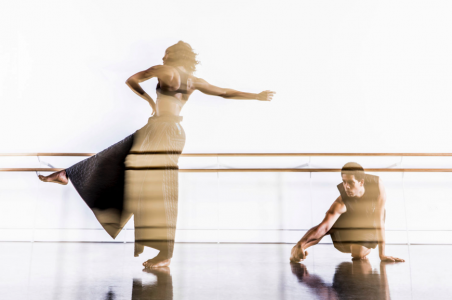 “ – and says those choreographers answer all of Rambert2’s key requirements. “[Benoit-Swan Pouffer] is a black guy from Alvin Ailey who brings his embodied knowledge from his time with Alvin Ailey, and his background as a French black man to the table. For now Rambert is assured of financing for three years. There’s an awareness that the current format is a pilot and subject to change; but Britton, Shute and Baldwin all feel the potential for success is there.